Hello! Welcome to the Little Things Blog! This is a PR FRIENDLY blog and I always enjoy taking part in promotions, giveaways and doing product reviews. I am also on the lookout for new advertisers! To get to know me better, read my “About Me” page. $25 ~ This price includes a 300×150 ad on the right sidebar of the blog for one month & additional promotion on the Little Things Blog Facebook page and Twitter account. $50 ~ A 300×150 ad on the right sidebar of the blog for one month, additional promotion on Facebook &amp; Twitter, as well as a blog post about your product or business. $100 – A 300×300 ad on the sidebar of the blog for three months. Additional promotion on FB/Twitter, a mention in the The Little Things eNewsletter, as well as a blog post about your product or business (it can be written by me or it can be something you put together, depending on what you are wanting). In the past I have done reviews for Bissell, Crayola, My Blogspark, PowerCapes, Easy Lunchboxes, Go! Go! Sports Dolls, Tire Discounters, and many more. I am willing to review almost any product, as long as it is appropriate for this blog. I ask to keep the product I am reviewing. My opinions in these reviews are always 100% honest, but I will never write a completely negative review of your product. If I am completely dissatisfied with the product I will contact you to discuss (this has never happened before though!). If you would like me to write a review for your product please contact me at: Katie@TheLittleThingsJournal.com, and allow up to 3 weeks for the review to be posted, unless you have a specific timeline, then please let me know and I will do my best to meet it! Please note, I reserve the right to refuse reviews, as I chose only products that fit into our lifestyle or would be of interest to my readers. I absolutely LOVE to host giveaways on my blog! I have taken part in promotional giveaways with Kroger, Lego KidsFest, My Blogspark (Crayola, Sam’s, and more), Feld Entertainment (Sesame Street Live, Disney on Ice, Ringling Brothers Circus and more), Cirque du Soleil, Old West Festival, PowerCapes, Cookbooks, Tire Discounters, Whole Foods, handcrafted items from Etsy, and many more! Most giveaways run for a week or two and in return for running this promotional giveaway I ask for a product or tickets for my family as compensation. GUEST POSTS & SPONSORED POSTS :: I am always looking for interesting guest posts to use on my blog, and I’m always looking for opportunities to write guest posts for other blogs! If you write a guest post for me, I would like you to include at least two pictures, one of yourself and one that pertains to the guest post. Your topic must be approved to be sure it is in keeping with the interests of my readers. 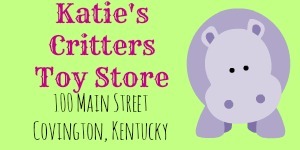 Email me at Katie@TheLittleThingsJournal.com to discuss Guest Posts. If you are interested in a Sponsored Post for your business, I’d love to talk to you! Simply drop me a line at Katie@TheLittleThingsJournal.com and we can discuss the price and timeline for your project. For all giveaways, guest posts and reviews, I promote social media outlets such as the Little Things Blog facebook page, Twitter and Pinterest. For all giveaways, sponsored posts, reviews and advertising I will promote you on all social media outlets, such as the Little Things Blog Facebook Page, Twitter, Pinterest and via my eNewsletter. Please contact me if you have any questions, would like more information or are interested in collaborating on a project! ~Katie S.